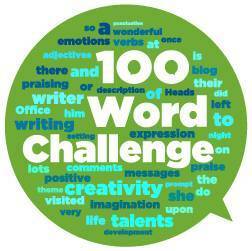 Mr Russell's Class - Page 39 of 41 - Welcome to our 100 Word Challenge blog - we LOVE comments! I woke up in the morning.And I went outside.And I saw smoke.I walked to the smoke and I saw a tank. The tank was blowing up the place.And I saw soldiers trying to destroy the tank.I ran home and got my bazooka.I went to the tank and I blew it up.But more came.I destroyed them all but soldiers came.I didn’t know what to do.So I went home and got my R.P.G. and blew them up.Tanks and soldiers were coming.And there was a jet flying above me.I kept on shooting until they gave up.I shot one more tank.And they gave up.Now there is Peace. It is the year 2018.I am in the middle of a war. Im looking out the window and I see terror on peoples faces.Everything is on fire.Soldiers are fighting for being the leader.All I thought was this the end.I thought to myself why not give out invitations to every soldier but how.I told one of the soldier to walk around and give them out. I was waiting in the church waiting for them. They came and I told them everything about the people around them. the next day I looked out the window i saw sunshine and people talking to each other. I was happy that it ended. Agent .c ws whizzed through the air . Ok he thought go back save venessa and stop DoomsDay and and not be seen by me . Simple enough he thought . But then he stopped the hippnodoodle (Time machine) had stopped working . Oh great he said he was at theright day but he was 5 hours early . He an into the temple and looked at the dooms day ZZZZZUUUURRRRPPPPP Suddenly it was blasting into the air .HAHAHAHAHA laughed DoomsDay .Wait a sec your no Agent Cucumber but you agent.C will do to. This device is signaling aliens to wage war on the planet next week .Do you know them. Yes the dark one said . We have to work together to stop them . Ok Dooms day said hesitating . but a few conditions . I am 2nd leader and whenever we split up I always go with agent.t and it will be called the day of doom. See you next time on once upon a spy. One Summers day, there was a big game on the green. Everyone was playing football, the ball was gone side to side . Then one person said lets have two captains, Sean and Evan were the captains then Evan said first pick!Evan choose Joe..wait you cant pick Joe said Sean, Joe is on my team Evan said furiously. The boys argued until one Sam stepped in and said why don’t we flip a coin as it seems fairest? Sean your heads, Evan your tails. The coin goes high in the sky and it lands on tails. And thats how all the boys made peace with each other through our football games. I wish there was peace in the world. It is horrible when I watch the news and there is another war. It is so sad that this happens and poor people suffer even small kids. It is not their fault where they live. They just want to have a normal life like going to school and playing with their friends and spending time with their family. Horrible people cause lots of destruction and millions of people are left with nothing or die. I feel so sorry for all of them. It’s so sad. We are lucky that we live in a peaceful country. Once there was a young boy called Will who moved to a new country with his family.he joined the local school but was not made feel very welcome by a boy in his class. Each lunchtime he would fight with him.He seen a notice in a window one day for a new boxing club starting so he decided to join to help him.He trained each day for 3 months and on the day of the tournament he noticed the boy from school was fighting for another club. They both reached the final Will won. Its a sunny morning in the year 2057 and I am the president of the world. It’s a peaceful world and everyone is friendly. This morning a post went up on Facebook that made everyone go bonkers. People wear tearing up flags, hitting each other and going mental. I looked at the post on Facebook and I knew why, but I didn’t how to get the answer around the world. I decided to post the answer to Facebook (it’s black and blue #thedress). Everyone saw it and that calmed them all down. Peace was restored and flags were blowing in the wind again. One day a war between the Irish and the Spanish. At the 3rd of August 1902. In Madrid in Spain and the Spanish had over 2000 people in the war. And the Irish had over 2000 people as well the war started because the Spanish leader hated the Irish leader and because he hated the Irish leader he wanted to take over Ireland. And as they were fighting one of the Irish soldiers and one of the Spanish soldiers. Were wearing the same football jersey a Manchester United one. So they shouted stop fighting so they could just go home to there family. Once opon a time in 1523 there were 3 kings, KingShane Kingdan and Kingreayad when they were kids they played together but when the kings grew up they became ewen beter friends butttttttt! some one wached them something evil that evil anoied him that they were friends he was making all sort of traps but it still didint work and he thought …well what a start… the evils guy name was radek,once he thougt a really good plan he said muahhhhhhaaaaa!hehehehe ,one sunny day 3kings were playng hide and seak but then radet sumoned a dragon,and they got killed but NO!The 3kings had so many friends bosses that the bosses were called Adam Bartek Jack.K+Jack.M Adam the pirrat said werrrrrre is the drrrrrragon Bartek the gost said I will get them with my magicssssssss and they got all together and fought the dragon and radek became friend of 3kings now there is 4kings. This is the name of a song and a true story. It was Christmas Day in France in 1914, it was at the beginning of World War One and the British were fighting the Germans. In between them both was No Mans Land. For a short time on that day, both sets of soldiers left the trenches and met each other half way on No Mans Land and shared pictures of family and some drinks. They also played a short game of soccer. Then the bombing started again. In 1983 Paul McCartney wrote a song about that day, The Pipes of Peace. Always in and around Christmas time this song is played on the radio. If he did not write this song, I wonder would the world remember what happened on Christmas Day 1914 in France. Brian is a soldier in Syria.In one of the battles he was in he had a sudden realisation ,these people that I am fighting , they have families and all the destruction and deaths that these wars have caused ,all of these familes killed .What good is this doing .So he came to his boss General Hayden and explained what he thought .And his general said fine one game of football but as soon as its over we must start fighting again . He said alright.But at the game both armies got to know each other the score was 3-3 and they stopped fighting ! Hi my name is Barrack Obama and I am the president of America.I would love to stop war in the middle east and around the world. September 20th 2016 I propose the following, we will be holding talks with all nations. and that everyone listens to each other and respects each others opinion. I think its crucial that everyone gets along with one and other and try to be friends with each other. September 28th 2016, we are now in Syria and everyone is now listening and respecting all different opinions. We now need to sign a treaty to stop war and to all be friends. Once apon a time I was a little kid and lived in seria.So one day I went out on my own to get milk for my mum and dad so I got to the shop and I saw a sign saying that the shop is closed because we are getting attacked by the russians so I was just confussed when I was walking home I saw are army with guns pointing at the sky and I saw a plane and under the plane there was a bomb. and I told are army to stop and give them a signal to land so they did so I cried “and told them we should make peace” so we all agreed so we mixed everyone into teams and started a game of soccer. I am a boy from Syria called Muhammad. My parents were killed in our house in front of me. My house collapsed and my brother and sister were killed too. I was left on my own. I wandered the streets to look for my friends. All of a sudden there was a loud bang, a bomb hit the school where my friends were and it went on fire. I saw all the children running trying to get out of the school. When all of the children were out, guns were fired and people were wounded. All the paramedics were quickly on seen. People were shocked, sad and hurt, we need peace in the world. in 1998 I got a letter from Roald dahl he said to come to his house and help to write BFG i came to his house in IRELAND I said helo and he said helo i said I have the letter, OK he said Its you yea, he said sit I sat and he started to talk his BFG what you have to put BLA BLA BLA….. and I fell a sleep,and I thought …well what a start… there was like every one claping ,because I was writing stories beter than Roald dahl, I was so happy and I WOKE UP and I said ,ok ok ,and gave him new ideas …and I am famous OK OK I am not mabe a little bit. ….THE END…..
Everyone was enjoying their day.The sun was shining,everybody was happy.But then something blocked out the sun.It was a u.f.o.Everyone was screaming and shouting,ALIENS,ALIENS!The u.f.o landed,no sound,just silence.The door opened,the aliens were tall,big and had huge eyes.Something zoomed past at the speed of light.It was The Flash.Cheering The Flash on,the people helped fight.They got torches pitchforks and more.The aliens got so scared they flew away!Then the people cheered and celebrated.But people got ready for next time.They got guns,knifes,sledgehammers and more.The End. A boy called Jake he lived in his friend house. It was his bed time . SOON AS HE FELL A SLEEP . He had dream . The dream was about a hunted hotel . Jake an his friend were in the hotel watching a scary movie they heard a noise in the bedroom .There was ghost hiding some where in the room . All the thing are moving by it self they .Jake jumped out of bed a he could not sleep soon as he heard a noise . He got scared.A ghost was hiding somewhere his dream came true . Hurling final 2016 by J.J. I was in Croke Park it was a sunny afternoon.It was Sunday. It was Waterford vs Tipperary, the first Sunday of September. Myself, my dad and my mother travelled to Croke Park to see my brother play for Waterford. It was a beautiful day, no better day for Waterford to win the All Ireland. My dad had told me before we left that we hadnt one an All Ireland in many years, even Arsenal had won a trophy during that period of time… Walking to my seat i could hear the announcer name the teams and i heard my brother being called out! I was so proud!! As soon as the ball was thrown in i heard the clash of the hurleys and before I knew it, i woke up in my bed and got ready for school.. What a dream! Author Posted on 15th September 2016 3 Comments on Hurling final 2016 by J.J.
Liverpool vs Arsenal the big day two hours from kick off, in the dressing rooms everyone is stressed out as were missing our best player but wait the new guy Caedyn K our midfielder is going to play. Twenty minutes from kick off and here we go boys. Bang! Liverpool off to a great start already a goal by Caedyn. Boom a goal by Arsenal one all both neck to neck. Wow what is this? Caedyn’s on the ball from the half way line he takes the shot HE SCORES.Yawn Caedyn time for school its 8 o,clock wait look at the news new player for Liverpool Caedyn K! !